Now on the first day of the week, at early dawn, they came to the tomb, bringing the spices which they had prepared. And they found the stone rolled away from the tomb (Luke 24:1-2). 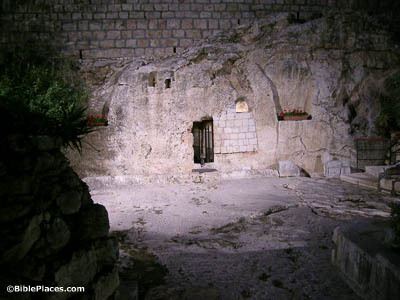 One of the traditional locations of Jesus’s tomb is known as the Garden Tomb. While it’s unlikely to be the actual tomb of Jesus for many reasons, its garden makes it a more worshipful place for many pilgrims than the competing Church of the Holy Sepulcher. And they found the stone rolled away from the tomb (Luke 24:2). 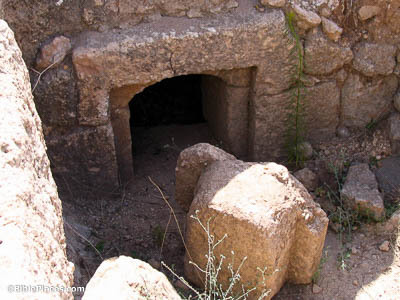 Jesus’s tomb is usually pictured as having a rolling stone door; this door would have been shaped like a disc and would be rolled into a special slot to block the entrance. However, others believe that the stone may have looked more like this one, which would have been wedged into the entrance to prevent access. This is mainly motivated by Matthew 28:2, which describes the angel as sitting on the stone; that would be much trickier on a rolling door, given their design. Two of them were going that very day to a village named Emmaus (Luke 24:13). 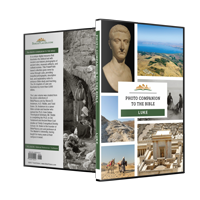 Identifying the location of Emmaus remains an open problem. There are no perfect candidates, and strong arguments can be made for and against the popular contenders. 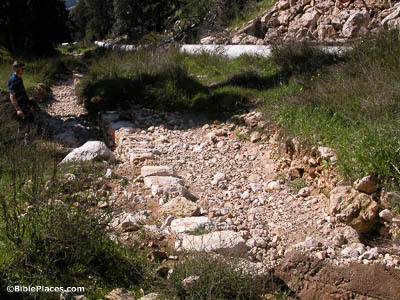 The road pictured here runs from Jerusalem to Moza, which is one of the stronger options. Moza was known as Emmaus in the time of Jesus, but it lies only 30 stadia from Jerusalem, where Luke describes this village as 60 stadia away. We were hoping that He was the One who was going to redeem Israel (Luke 24:21). Redemption, as a word, has become ethereal through its modern use in exclusively theological settings. However, it was originally quite tangible and exact in its meaning; redemption refers to the payment of a ransom in order to free a slave. This practice is widely testified in antiquity, alongside its sister practice of emancipation. 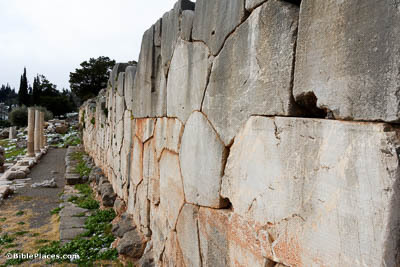 This wall in Delphi, for example, is covered with inscriptions detailing the emancipation of more than 800 slaves. And He led them out as far as Bethany, and He lifted up His hands and blessed them. While He blessed them, He parted from them and was carried up into heaven (Luke 24:50-51). As with many biblical events, while we can’t know exactly where the ascension happened, we know the general area. 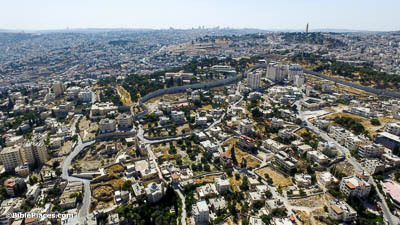 This aerial shot of Bethany almost certainly includes the place where Jesus was taken up into heaven, and the area is dotted with multiple churches commemorating the event.